Wavin is well known for its dedication to research and innovation. And it recently brought a clever and customer-centric underfloor heating and cooling solution to market. 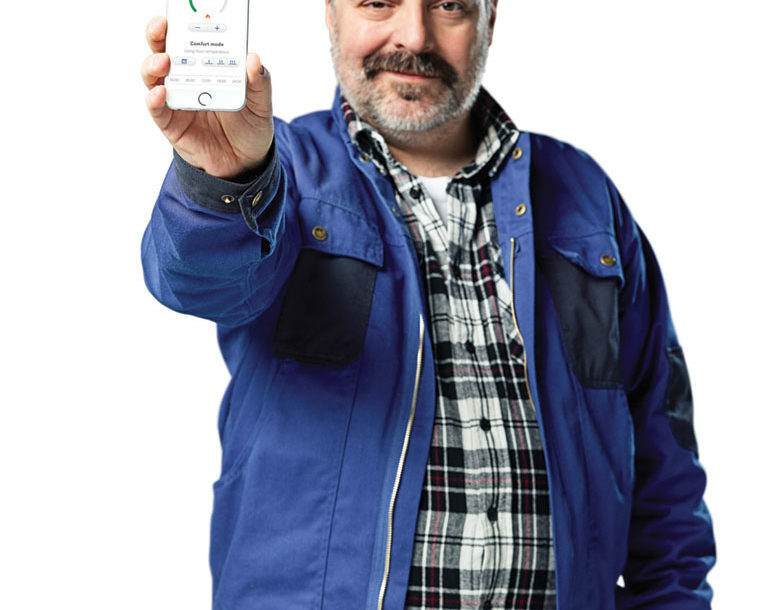 Ideal for installers and residents alike, the energy-efficient Sentio system is both easy to install and intuitive to use and is quickly getting traction, as its convenience and practicality are driving an undeniable success. Favorably showcased in internationally renowned trade fairs, the clean looking product garnered enthusiastic reviews and support from installers. Sentio’s straightforward control via mobile app, also impresses home owners and receives a great deal of attention from wholesalers, keen on its logical to install wireless control unit and effortless commissioning via LCD or laptop. Sentio takes into account end customers’ needs and wishes regarding design and comfort, while also having been developed with the installer in mind. It empowers them to easily configure the system for their customers by selecting a pre-set profile. Sentio is a zone control system with ability to monitor, adjust and maintain an optimal temperature in different rooms throughout the building at each time of the day. Ensuring a good indoor climate, essential to health and well-being, while minimising energy consumption with its clever algorithms. In short, Sentio is a complete and handy solution at your fingertips. 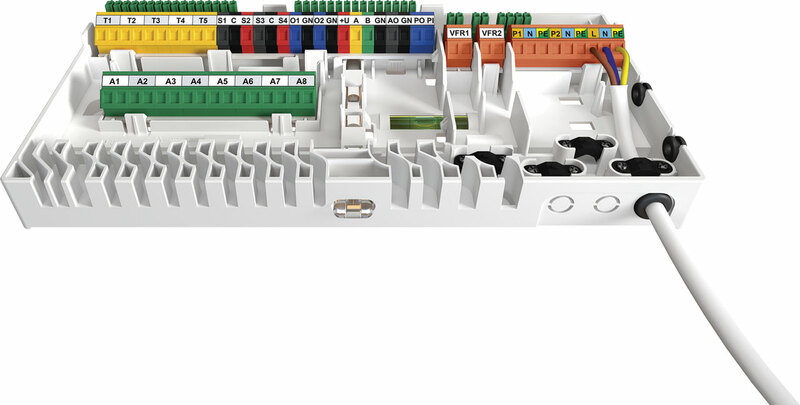 Unlike other systems, Wavin Sentio eliminates complexity through smart and logical features, and makes installation an effortless three-step process: Connect. Set. Go. 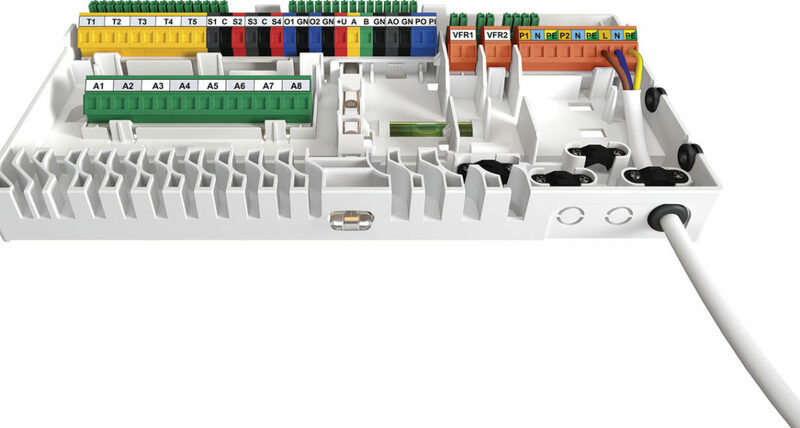 Building on the success of Wavin’s AHC 9000, Sentio offers a complete and robust product range that fits every job, without the need to add all kind of modules. The product family includes a Central Control Unit (CCU), wireless and wired room thermostats and sensors, and a wide range of accessories. 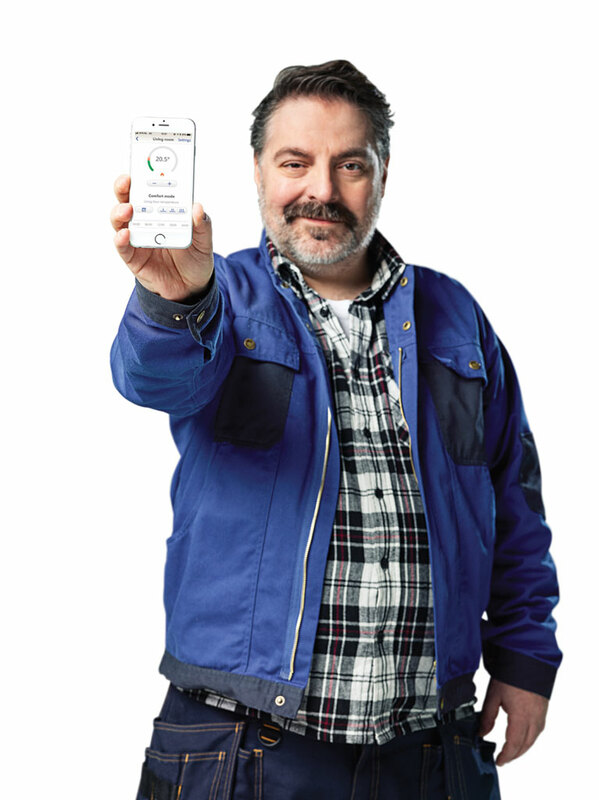 Because a home should be easy and enjoyable to live in, the app, featuring a slick interface, allows you to take control of heating anytime, anywhere. The system also let’s you define programs and control settings without additional hardware, even when you’re not at home. Its ability to monitor, adjust and maintain an optimal temperature, ensures a high level of indoor comfort while minimising energy consumption. Integration, performance, simplicity. With zone control, the Sentio solution allows for the temperature to be set per room – a few degrees warmer in the bathroom and a bit cooler in the hall – helping households make significant savings on energy consumption. The Sentio thermostat is non-obtrusive and displays information only when required. The display shows both temperature and humidity levels and adjusts light intensity according to its surroundings. With an optional infrared sensor, the Sentio thermostat can control floor temperatures in an exceptionally accurate manner. 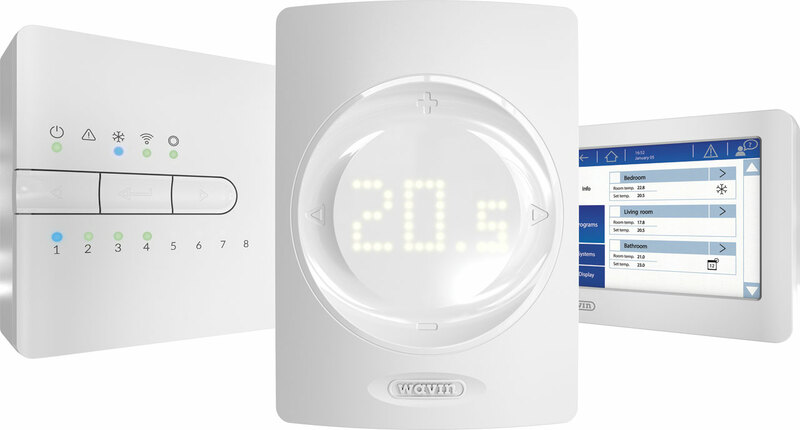 The Sentio control system is the latest addition to Wavin’s already extensive floor heating range. 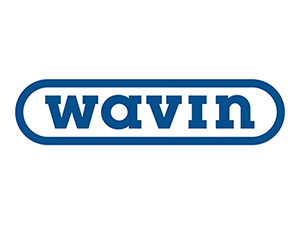 From tube to tacker plate, from tape to couplings, from edge insulation to pumps, Wavin is a definite one-stop-shop supporting installers, providing them with all the right elements, including design & calculation. Its Sentio system has already won market-leading positions all over Europe, and is currently changing the way people think about underfloor heating & cooling installation. Wavin and its Technology & Innovation team understand the essence of underfloor heating and smart living. We can only be genuinely excited about upcoming products, future developments and enhanced customer experiences. More information about Wavin Sentio and Wavin underfloor heating and cooling can be found at www.wavin.nl/sentio.